"Senior nomads" Michael and Debbie Campbell discuss their travels among home shares around the world — and why, after three years, they plan to keep on globe-trotting full time. And we'll hear what makes the republic of Macedonia, in the southern Balkans, one of tour guide David Willett's favorite destinations anywhere. Wikipedia has detailed information about the Republic of Macedonia. The lakeside town of Ohrid in Macedonia is one of Europe's oldest settlements, and is a United Nations World Heritage Site. Tour guide David Willett conducts tours that start in Thessaloniki, Greece, conclude on Corfu, and include time in Macedonia and Albania. Michael and Debbie Campbell write about living fulltime in AirBnB rentals in more than 50 countries, in their book, "Your Keys Our Home." Conde Nast Traveler wrote about the Campbells' adventures in 2016, and the New York Times featured "the senior nomads" in 2015. 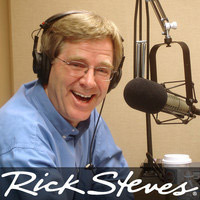 The Rick Steves Travel Store sells packing cubes which Michael Campbell enjoys using to organize his luggage. Information for obtaining a Schengen Visa for extended stays in Europe.